When I saw this adorable Savannah engagement shoot shot by Brooke Roberts, I felt so at ease and carefree. I know that Jessica + Scott must have, too. I love being completely focused on them while in the midst of one of Savannah’s most beautiful landmarks, Forsyth Park. They were so relaxed with each other, you feel like that they were the only ones in this beautiful city. The gorgeous Villa De Suenos is absolutely beautiful. This lovely private villa tucked away off of East Beach on St. Simons Island and offers an expansive decadence that is perfect for your destination wedding in Coastal Georgia. Overlooking beautiful Sea Island, It sleeps 15, which makes it perfect for early arrivals and pampering your bridal party. With an infinity edge pool that appears to spill into the crystal blue ocean and bricked terrace, it is calling for al fresco dining and entertainment. Thank you to the beautiful St. Simons Island wedding photographer, Brooke Roberts for the captivating images above! New Cocktails + Details Collection with Island Sound! Couples having a wedding in the Savannah/St. Simons and Jekyll Island area have a wonderful opportunity to book the area’s hottest event team together to create the ultimate party experience! When asked, brides say the two most important things they want for their wedding day is 1.) for everything to go smoothly and 2.) that everyone has a good time. Now with Island Sound and Cocktails + Details, you can have a stress-free, enjoyable wedding day. 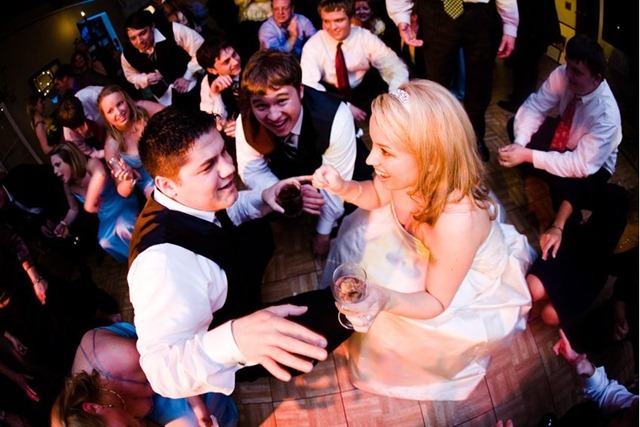 We have a collection that includes your wedding entertainment and full-service wedding day coordination. 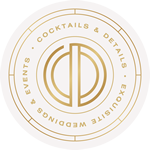 Your event team will work with you to tie together all of the details of your day: everything from your musical selections, custom event blueprints and timelines and more. On the day of your wedding, you provide the love, we’ll take care of the party. Contact Island Sound or Cocktails + Details for more information and to book this collection with $400 in savings! Jekyll Island Wedding Photo by the undeniably fabulous Scarlett Lillian. Over the summer, we were so very honored and excited to finally produce an event that only held us spellbound creatively, but also emotionally. Ashaki and Embry became more than just great clients over the course of our planning, but great friends (I miss them so! Thank heavens for Facebook!). The two were married at the beautiful historic Crane Cottage at the Jekyll Island Club Hotel for an outdoor wedding and reception. In addition to the great details that kept us sketching, bustling and literally enthralled, we had the opportunity to work with some of the best vendors like the phenomenal Agnes Lopez and Gay Whatley, as well as the outstanding band from Atlanta, Excite and local favorite, Tommy Tucker of Dance Jammers who provided the tunes for the after party (which was a tribute to the great, late Michael Jackson and some how had a remix of Hava Nagila. I will never question the depth of Tommy’s music library, every again. Ever.) Our team was also fortunate to work with the ever so talented Christina Grimsley of In Motion Video Productions. Christina provided us with the video that now is on the gallery of the FABULUXE website, but I wanted to take a moment and share it here so that you can see her work. I cried during the wedding and I cried again when I viewed her awesome production of the video. It was like being there all over again—I know if I felt like that, Christina’s clients must feel the same way, and that is an awesome way to feel. I can’t say enough fabulous things about her so if you are in need of a great videographer, look her up! Beautiful photo of the bride and groom, stealing a quiet moment before they are introduced into dinner captured by the incomparable Agnes Lopez. Fourth of July always has a sentimental meaning for me. It’s the day I had my first date with my husband and it was my original due date for my daughter. This year, it has a new meaning, as I had the opportunity to spend and share it with Allison and Chuck, who were married on St. Simons Island. This wedding was so much fun, and even though the growing crowds on the island had the entire vendor team on pins and needles, the wedding went off flawlessly! Having worked with Allison and her mom all those months was such a joy. When I finally saw Allison moments before she walked down the aisle, we both broke into the tears and hugged repeatedly. I still laugh when I think about it; I hear her mother say “Alright, girls. Cut it out”. Allison’s mother was fabulous—she was so creative by making the centerpieces and so many other elements of the wedding. They coordinated perfectly with the silk and lamour linens in the beach inspired colors of sand, french blue and ivory. The elevated sweetheart table was draped in both taupe silk and caviar pearl beaded chiffon, which complemented the floating candle and starfish centerpieces. The casual beach vibe strewn with gerbera daisies and roses was pulled together with the ladies and gents in their wedding attire and flip flops and starfish and sand in the decor—all beside an oceanside setting. There were so many sweet details: female guests received beach cookie cutters, while the gentleman received custom golf balls. All guests were treated to guest baskets with items inspired or about St. Simons Island. One thing I loved about the wedding is the laughter. There were so many great people, reunions and fun moments at the wedding. Allison and Chuck had a “Second First Dance” song: Adam Sandler’s “Grow Old With You” (hence the huge laugh on Allison’s face above). The boots in the earlier picture were from Allison’s dance with her dad—they started out to “Isn’t She Lovely”, which then turned into a rousing rendition of “Cotton Eyed Joe”! I had such a great time helping to bring together Allison and Chuck’s event vision and working with Allison and her mom. Now I have another reason to love July 4th. Special thanks to Spencer and Anna Clark for the photos. If you are a member of Twitter, you have probably become addicted like most—but did you know some of Saint Simons and Jekyll Island’s wedding professionals are on Twitter, too? That’s right—now you can keep up with your favorite wedding photographers, wedding cake bakers, florists, and wedding ceremony and reception venues. 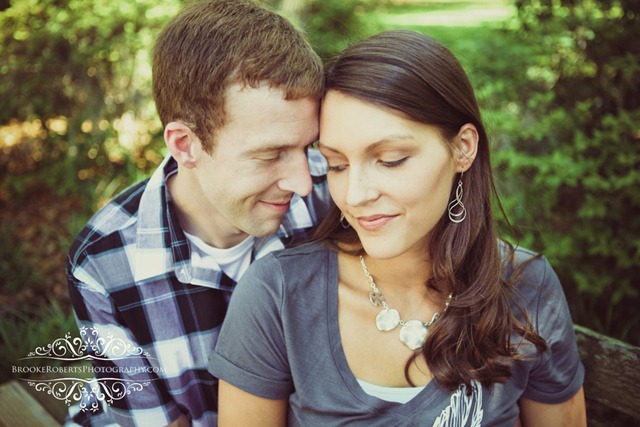 Get to know them, learn about great tips for your wedding or happenings in the area. Being between such beautiful and unique cities like Savannah and Jacksonville, I’ve included some great wedding professionals that are in that area, too! Follow Tricia Huddas of Tricia Huddas & Co.
And of course, don’t forget about us! 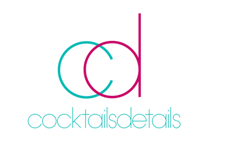 Follow Terrica from Cocktails + Details on Twitter.